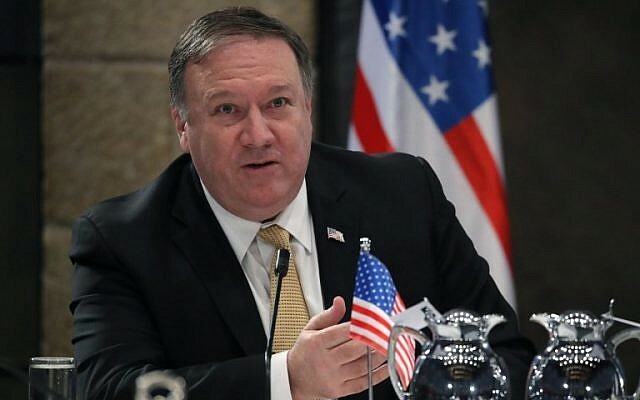 US Secretary of State Mike Pompeo issued a thinly veiled jab at Democrats over anti-Semitism on Wednesday, following controversial comments by a Muslim congresswoman over American support for Israel. Speaking from Jerusalem during a Middle East tour largely focused on countering Iran, Pompeo also noted the “dark wave of anti-Semitism” in Europe and the US. “All nations, especially those in the West, must go to the barricades against bigotry, ” he told Prime Minister Benjamin Netanyahu. “Sadly, we in the United States have seen anti-Semitic language even in the great halls of our own Capitol,” he said. She also suggested that the American Israel Public Affairs Committee lobbying group was paying US politicians to support Israel. Both Pompeo and Netanyahu are scheduled to speak at AIPAC’s annual conference in Washington next week. Following outrage over Omar’s remarks, Congress passed a measure opposing hate speech in general. The resolution was originally intended to deliver a direct rebuke of anti-Semitism, but it was revised to broadly condemn discrimination against Muslims and other minorities as well after blowback from progressives. US President Donald Trump seized on the shift and accused the Democrats of becoming an “anti-Israel” and “anti-Jewish” party. 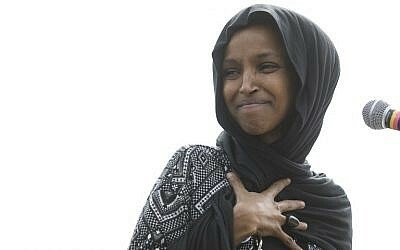 Some Democrats had expressed anger that Omar could be facing an implicit rebuke, while statements criticized as racist by Trump and other Republicans go largely unchallenged.